The proofs are in the pages! Not just any books, but the PROOFS for my next release! There are so many little thrills along the way to publishing, some of which are not seen by everyone else. Finishing a draft, signing a contract, finishing edits, setting a release date, seeing cover art, etc. Holding the proofs is the next best thing to holding the final product. In some cases, it IS the final product. There will be one more update to the cover art to include the quote from James Blaylock. I’ve already seen the draft updates, and they’re beautiful. 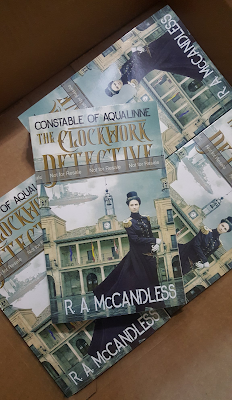 There have been so many highs with The Clockwork Detective it’s hard to believe I’d ever be in this position. 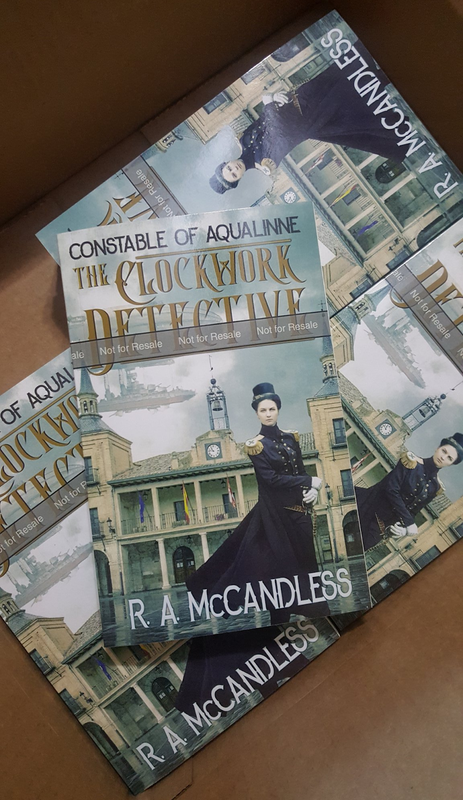 A quick thank you to everyone who reads my blog, puts up with me on Facebook and/or Twitter, or generally has to listen to me going on and on about plot, character, pacing, dialogue, or anything else associated with my writing.